Property Details: 2 Bedroom, 2 Bathroom Home, with more than 1350 square feet. Eden condominium home with incredible views in the highly sought after West Tower. Floor to ceiling plantation shutters in living room. Double door entry into Master suite with floor to ceiling plantations shutters, walk in closet, 2 extra closets. Master bath has double sinks, jetted tub, stand along shower and separate water closet. Guest bath has double sinks and tub/shower combo. 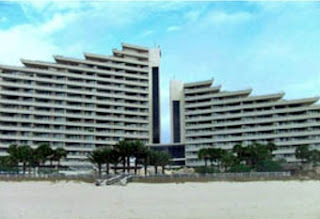 Eden condominiums is one of a kind luxurious resort in Perdido Key. Amenities include outdoor pool with waterfalls, kiddie pool, indoor heated pool, outdoor and indoor hot tubs, designated beach side grill area, covered gazebo overlooking pool, large fitness center with men and women showers, saunas, 2 lighted tennis courts, 24 boat slips with boat launch on Ole River, owners lounge, 2 conference rooms, on site salon, poolside deli in season, covered parking, gated garage, on-site security, four main lobby elevators and 2 owners elevators.